Organizers of joint Israeli-Palestinian memorial event vow to petition Supreme Court against Defense Minister's ban on PA Arabs attending. 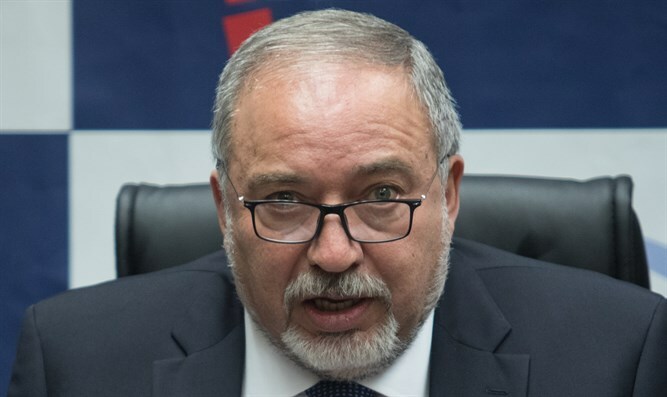 The organizers of the Israeli-Palestinian Memorial Day ceremony are threatening to petition the Supreme Court against Defense Minister Avigdor Liberman following his decision not to allow any Palestinian Arabs to participate in the controversial ceremony. Attorney Gaby Lasky represented the organizers of the ceremony in an appeal to the Defense Ministry's legal adviser, arguing that Lieberman's directive "was given without authority and irrelevant reasons." It was further argued that "the decision made [in response] to my positions is unreasonable and disproportionate, and in essence, is so flawed that it should be nullified." The legal adviser's response was received last night, saying that "this request was examined by the defense minister, and he decided, as a matter of policy, to reject it and refuse to allow Palestinians to enter Israel for the said purpose." "The defense minister believes that the state's duty to prefer preventing harm to the feelings of the public in Israel, including bereaved families ... and not to allow Palestinians wishing to commemorate their relatives, including those killed as a result of terrorist activities against the State of Israel, to participate in this ceremony," the legal adviser wrote. Attorney Laski, who represents the organizers of the joint memorial ceremony, the Combatants for Peace movement and the Israeli-Palestinian Bereaved Families Forum, said in response: "There is no greater shame: The defense minister decided as a matter of policy to undermine any reconciliation effort between Israelis and Palestinians, while he deviates from his authority and decides to hurt many bereaved families without just cause." "This policy shows indifference towards bereaved families who wish to commemorate their loved ones in their own way. This is an additional insult to families and bereaved parents, for whom this conflict has cost them the most painful price possible. On Sunday, [the petition] will be submitted to the Supreme Court, so that the Palestinian peace activists can express their desire for peace on this difficult day," she added. On Thursday, the Supreme Court rejected a petition by the Jerusalem Municipality to ban the event.